Sponge cake, pound cake and loaf cake are prepared using different methods and different ingredients, which results in an easily distinguishable taste in the final product. Of the three types of cake, sponge and pound cakes are the most frequently mistaken for one another. Basically the taste of sponge cake is lighter and subtler, while pound cake is infused with a rich, buttery flavor. The sponge cake, also known as a type of foam cake, was invented in the early 1400s by Italian bakers. Similar in texture to angel food cake, this cake uses many eggs but no shortening or leavening. Angel food cakes are even lighter, since they’re made using only egg whites. The classic sponge cake has a light, but chewy, texture and is usually mildly flavored, tasting of sugar and vanilla. 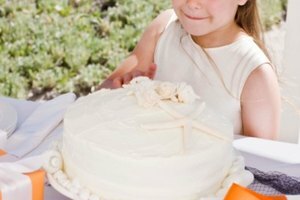 Sponge cake recipes can incorporate flavors, most often lemon or orange. The pound cake was invented in England and its name comes from the earliest pound cake recipes which contained 1 lb. each of sugar, eggs, and flour and butter. Although modern recipes alter these ratios so the cake isn’t quite as fattening, the inclusion of butter still gives this cake its rich flavor, heavy consistency and higher calorie count than the sponge cake. 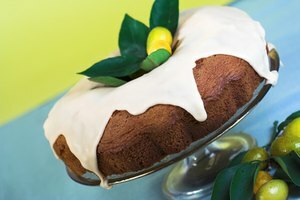 The classic pound cake recipe tastes mostly of butter, but flavored pound cake recipes can also be found – chocolate, for example. Unlike sponge cakes, pound cakes require a leavener, such as baking powder. A loaf cake is made in a bread loaf pan, as its name implies. Also known as a quick bread, these cakes can incorporate a wide variety of ingredients, such as fruit and nuts. Popular ingredients for loaf cake include bananas, walnuts, pumpkin and zucchini. The texture of sponge cake makes it difficult to cut cleanly. For this reason, it makes a better presentation as a casual, coffeecake-type dessert. Pound cake is somewhat crumbly, but can be cut in cleaner slices; a popular serving method is to top it with fruit. 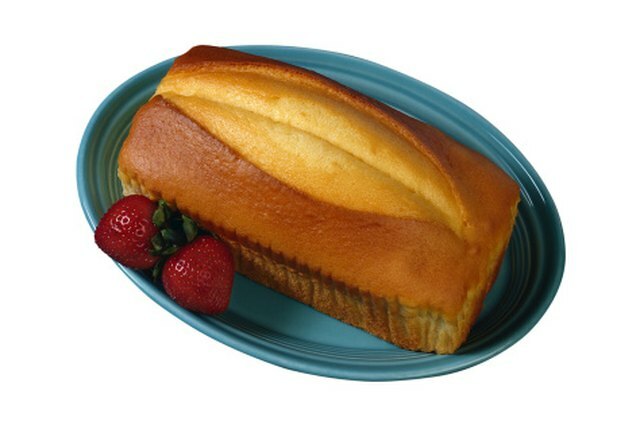 In fact, pound cake is frequently used to make strawberry shortcake. 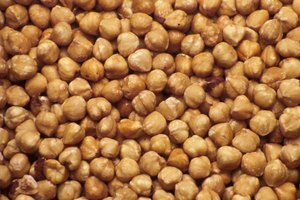 Loaf cakes, like muffins, make a tasty breakfast food or coffee accompaniment.